GME announces the winners of the GME Awards and wraps up the success of the second annual Georgia Manufacturing Expo. Lt. Governor Casey Cagle not only delivered the keynote speech at the first Georgia Manufacturing Expo Awards, he also presented the first ever Plant Manager of the Year Award to Victor Williams of Intelligent Switchgear Organization, LLC. Four Frontline Leadership Awards were also presented to Patricia Tench of TenCate, Steve Garret of Ryerson, Tom Holmes of DIRTT, and Christian Smedberg of Osbourne Wood Products. The GME Awards were held during this year’s Georgia Manufacturing Expo in mid-June and these four men, and one woman, have the distinct honor of being the program’s first winners. 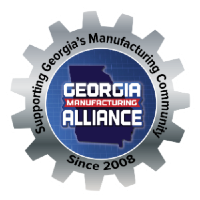 It is the only manufacturing awards program in Georgia that recognizes the people of the manufacturing industry. From the 22 total nominations these 5 outstanding manufacturing employees were chosen.